Tzatziki is one of my favourite dips. It's light and refreshing; perfect for dipping vegetable sticks and pitta breads into. I also think it's lovely on wraps and burgers - especially if you're after something a little different from the more traditional table sauces. 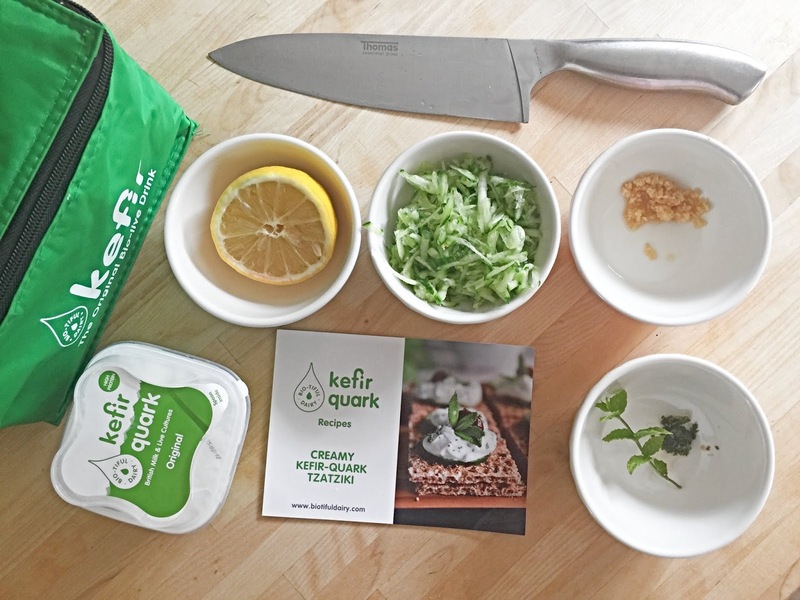 The other day, Bio-tiful Dairy got in touch to see if I'd like to try their Kefir-Quark* product and use it to make a creamy Tzatziki. 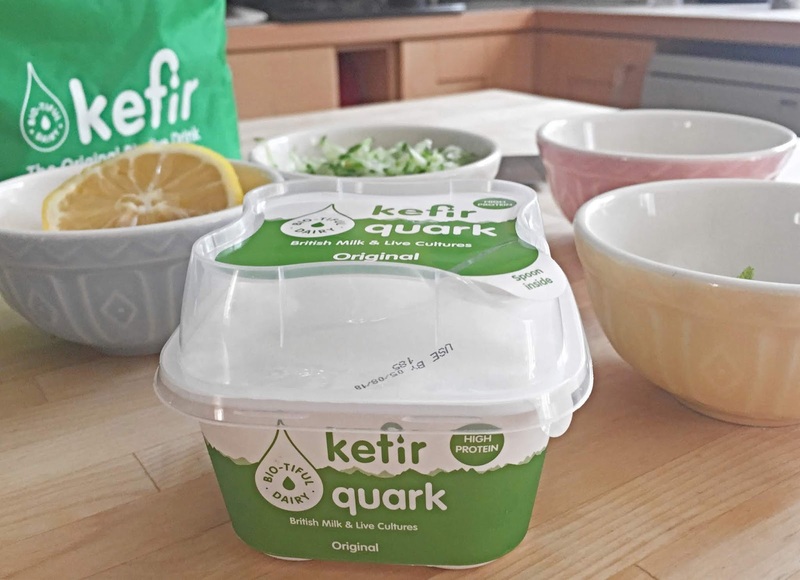 Kefir-Quark wasn't a product I'd actually heard of before and that's probably because Bio-tiful Dairy is the first brand in the world to make it! 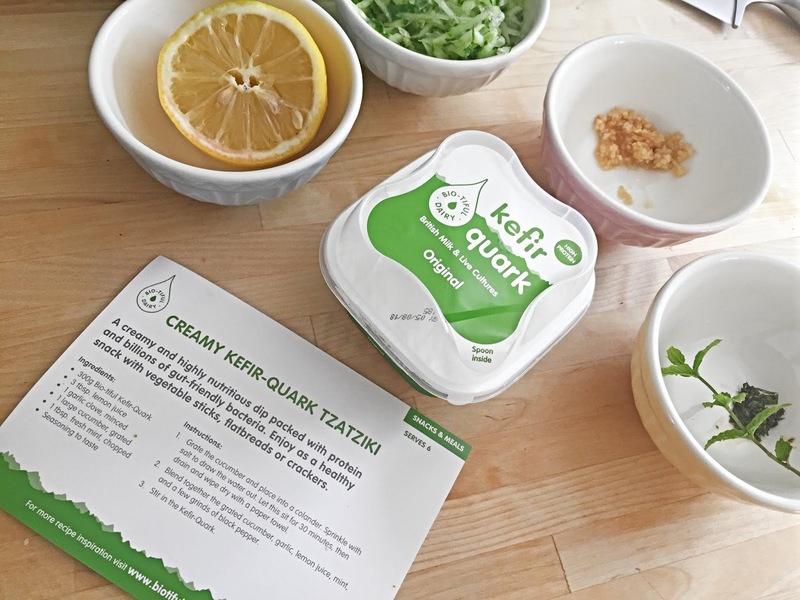 For those who may not have come across it before either, Kefir is a 2000 year old bio-live drink and Quark is a high-protein fresh cheese. 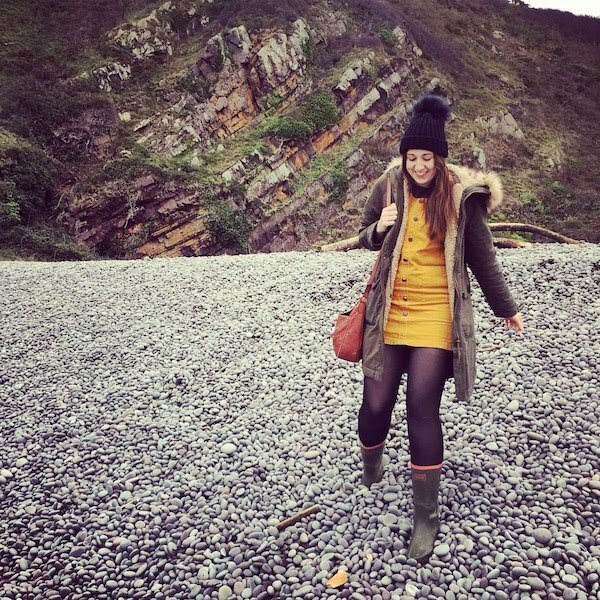 The product itself boasts numerous health benefits: it's great for the gut, it's high in calcium and it's packed full of essential minerals and vitamins, including B2 and B12. I had a little taste before I made the Tzatziki and it was really very pleasant. It reminded me a lot of Greek Yoghurt and I imagine it'd be lovely with fruit and seeds as a breakfast or lunch, if that's something you're into! 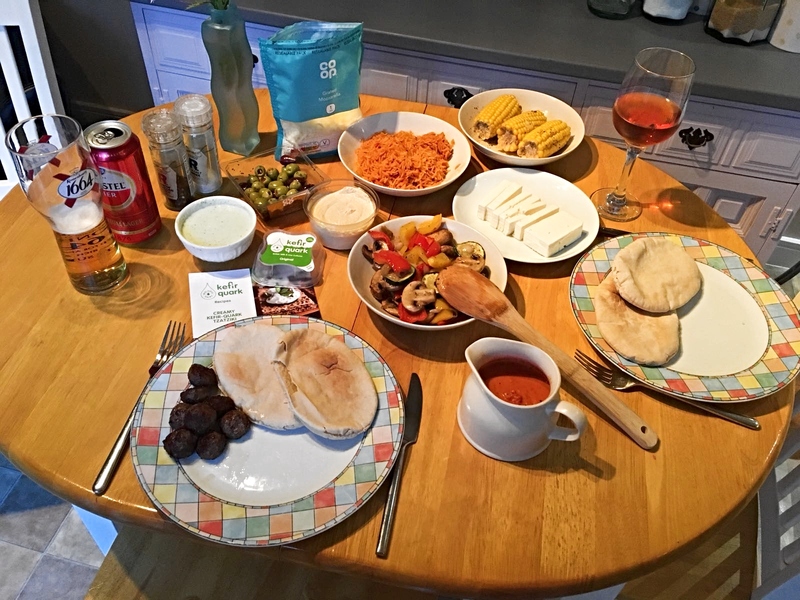 The Creamy Kefir-Quark Tzatziki was the perfect accompaniment to our Med-inspired meal and it's something I'll definitely make again in the future. 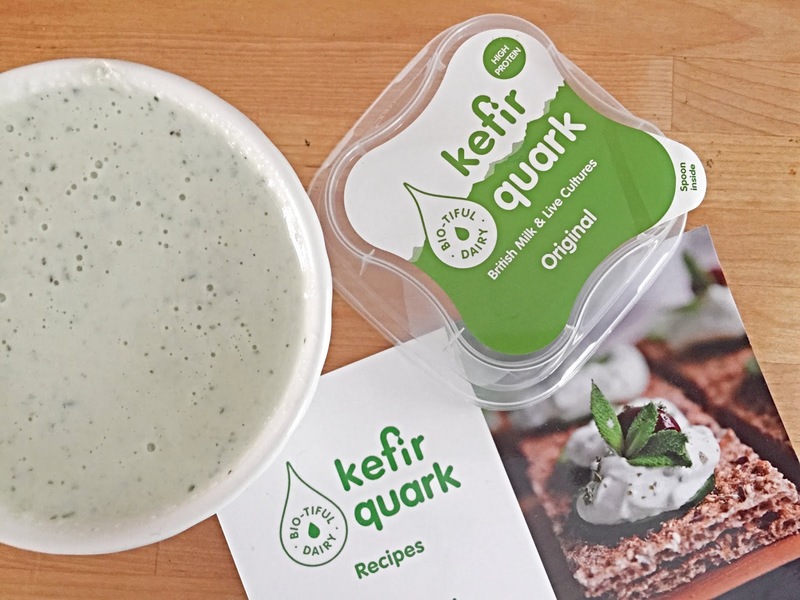 If you fancy having a go at making it yourself or simply want to give Bio-tiful Dairy's Kefir-Quark a try, then it is available to buy in Waitrose, Whole Foods and online at Ocado. Bio-tiful Dairy products are also stocked in many other supermarkets all over the country. 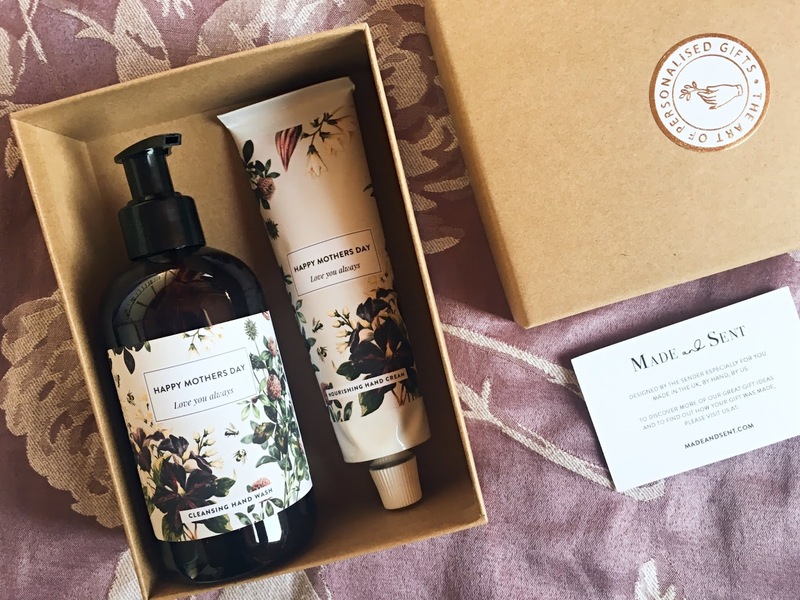 For more information, head to the Bio-tiful Dairy website. 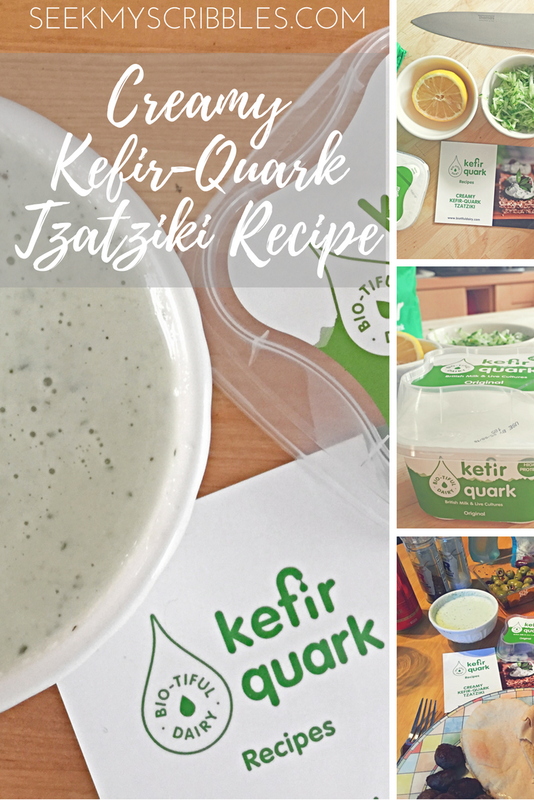 Is Kefir-Quark something you'd try?